The Bad Sleep Well [Warui Yatsu Hodo Yoku Nemuru]. Dir. Akira Kurosawa. Perf. Toshirô Mifune, Masayuki Mori, Kyôko Kagawa, and Tatsuya Mihashi. 1960. DVD. Criterion, 2006. 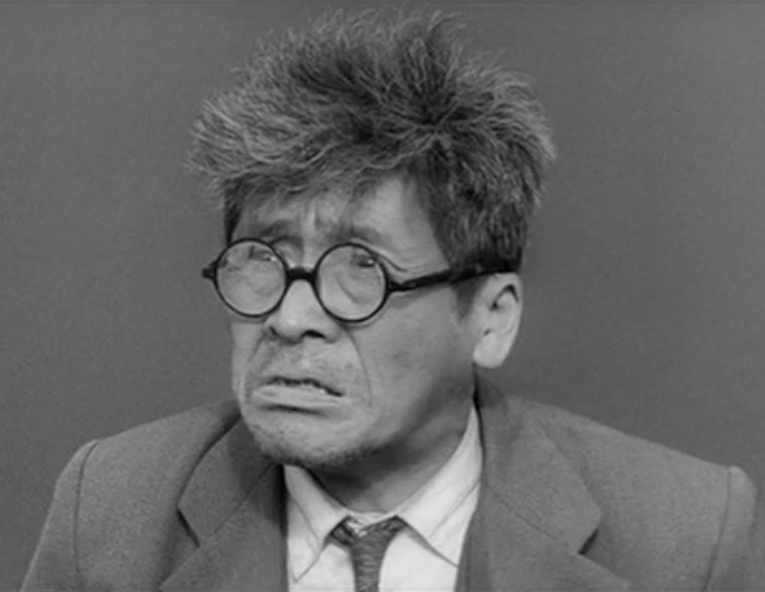 One of my favorite Hamlet derivatives is Kurosawa's The Bad Sleep Well. Even though Throne of Blood (for which, q.v.) gets most of the Kurosawa / Shakespeare press—and rightfully so, as it is utterly superb—The Bad Sleep Well is incredible. The film's opening is crafted in such a way as to interest its viewers—and to confuse those who have been told that this is a Hamlet derivative. There's no ghost—no watchman on the battlements—not even an announcement about a wedding following so hard upon a funeral. We do get a wedding, but it's not what those looking for Hamlet connections expects. Instead it's a wedding of some high-ups in the Japanese business world. The wedding takes place in one large room with a group of journalists—somehow smelling out a scandal—cordoned off in a separate, adjoined room. After watching further, we learn that the film's plot involves a Hamlet-like character named Nishi who marries Yoshiko, the daughter of a corrupt official, as part of a secret plan to bring that official and the entire company to justice for its corruption and its role in his father’s suicide. Yoshiko and her brother Tatsuo are similar to Ophelia and Laertes. We open, in other words, with the marriage of the analogues for Hamlet and Ophelia. The toast is shocking to the business-minded audience—but not nearly as shocking as the arrival of a second wedding cake. I imagine it will be hard for most of you not to track the film down at your earliest opportunity to see how the rest of it plays out. The cake with the rose marking the window from which the analogue of Hamet's father supposedly jumped becomes something of the play-within-the-play in compressed form. And look at the framing of this shot—it's remarkable! When you watch the rest of the film, you'll find much more to think about, and all of it will set you scrambling back to the text of Hamlet with new and intriguing perspectives on the plot and the characters.